Game 1 (No. 4 South) Furman vs (No. 5 North) Chattanooga 11:30 a.m.
Game 2 (No. 3 North) Appy State vs (No. 6 South) Citadel 2:00 p.m.
Game 3 (No. 4 North) Samford vs (No. 5 South) Charleston 6:00 p.m.
Game 4 (No. 3 South) Georgia Southern vs (No. 6 North) Western Carolina 8:30 p.m.
Game 5 (No. 1 North) Greensboro vs Winner of Game 1 (Furman/Chatty) 12:00 p.m.
Game 6 (No. 2 South) Wofford vs Winner of Game 2 (Appy/Citadel) 2:30 p.m.
Game 7 (No. 1 South) Davidson vs Winner of Game 3 (Samford/Charleston) 6:00 p.m.
Game 8 (No. 2 North) Elon vs Winner of Game 4 (GSU/WCU) 8:30 p.m.
Today, the men's team lost 82-56 to Wofford and the women lost 58-39 to Appy State. While both Catamount teams were playing opponents in the upper echelon of the conference, neither team was even remotely competitive with their opponent. Had this been the first or a single incident of this type in either teams competitiveness in conference games, it would be forgivable. But over the course of this season, these type games have become the norm, for both teams, regardless of the opponent. As of this evening, the men are 9-14 overall and 3-7 in the SoCon, while the women are 7-14 overall and 2-10 in conference play. Both teams are currently tied for last place in their respective conference races, which is an unacceptable situation. I can at least rationalize in my mind that this is a rebuilding year for the men's team, however, it's the third year of a downward cycle for women's basketball since Coach Harper departed. Next season, both teams must make considerable improvements in their win/loss records. Western Carolina Director of Athletics Randy Eaton and first-year Catamount head football coach Mark Speir together are traveling across North Carolina and the region during the next month reaching out to the Catamount Nation. The ten-stop tour kicks off on Thursday, Feb. 9, in Atlanta-Metro area in Dunwoody, and spans the next month, culminating at the Outwest Steakhouse in Kernersville, N.C. Along the way, the Catamount athletic caravan will make stops across Western North Carolina in Canton (Feb. 13), Murphy (Feb.1 5), Cherokee (Feb. 22), Fletcher (Feb. 27), Franklin (Feb. 29) and Morganton (March 8). Charlotte-area Catamounts are invited to the BlackFinn Saloon on Feb. 21 or to the Feb. 28 stop at the Owl's Eye Vineyard & Winery in Shelby. Each tour event with the exception of the stop at Fletcher's Broadmoor Golf Links begins at 6:30 pm and lasts until 8:00 pm. The Asheville-area reception will have a special start time of 6:00 pm. For more information on the "Catamounts Unite Tour," or to RSVP, contact the Catamount Club offices at (828) 227-3047 or jfisher1@wcu.edu. Spartanburg, NC - The Catamounts travel to Spartanburg, SC for a return match against the Wofford Terriers in a rare Monday contest. Earlier in the season, the Cats won in Cullowhee, by a final score of 67-57 over the Terriers. Wofford is 14-8 overall on the season, and 7-3 in the SoCon. They are currently in second place in the South Division, juar a half-game ahead of surprising Georgia Southern. The Terriers are led by a trio of players scoring in double figures thus far this season. Kevin Giltner leads the scoring with 16 points per game, Brad Loesing is second in scoring with 14 points per game, and Karl Cochran is at 11 points per game. Wofford's defense is currently first in the conference at 62 points per game, while their scoring offense is in last place at 64 points per game. Wofford is on a five game win streak, and is coming off a three game road swing, with wins at Furman, The Citadel, and Charleston. The Catamounts will have to step their game up, and improve the offensive rebounding, and hold on to the ball to be successful in Spartanburg tonight. Practice is underway at Childress Field/Hennon Stadium for the 2012 season. Friday, Feb. 17 is opening day, and the Cats will host Fordham in Cullowhee. We look forward to seeing you in Cullowhee!! Catamount baseball practice for the 2012 season started on Saturday afternoon. On Sunday, the squad held its first intrasquad scrimmage, in preparation for the 2012 weekend series opener against Fordham in Cullowhee for the first meeting between the two teams. Be sure to get to know all the baseball Catamounts on the Catamount Sports Forum's "Meet the Cats" series. Cullowhee, N.C. - Catamount senior guard Kaila'Shea Menendez scored her 1,000th career point Saturday during the game with the Wofford Terriers, in the Ramsey Center. Menendez also led all scorers in the game with 19 points, hitting 8-of-16 from the field. A lay-up at the 3:05 mark of the first half sent her over 1,000 points mark. Cullowhee, N.C. - Head coach Mark Speir today announced Western Carolina's 2012 Football Schedule. The schedule includes five home games and a season-opener against Mars Hill in Cullowhee. In other "out of conference" games, the Cats will travel to meet the Thundering Herd of Marshall and end the season at the BCS defending national champion, Alabama. "We are very excited about our 2012 Football schedule. It is going to be arguably one of the toughest lineups in America," said Speir "It should be a great test for the 2012 Catamounts. We are expecting great crowds for our five home contests. E.J. Whitmire Stadium will be rocking this fall with some exciting Catamount Football." Sat., Sept. 8 - at Marshall - Huntington, W.Va. Sat., Sept. 15 - at Wofford - Spartanburg, S.C. Sat. Sept. 29 - at Furman - Greenville, S.C. Sat., Oct. 13 - at The Citadel - Charleston, S.C. Sat., Oct. 20 - at Elon - Elon, N.C. Sat., Nov. 17 - at Alabama - Tuscaloosa, Ala.
WCU Women’s Basketball is hosting its annual team reunion on Saturday, January 28th as the Catamounts take on the Wofford Terriers in the Ramsey Center. The cost to attend is $10 per person and includes your game ticket and lunch. The Phoenix travel to Cullowhee Thursday night for the first of two meeting between the North Division foes this season. Elon currently sits in first place in the North Division after a 88-87 win over Chattanooga last Saturday night. Elon currently has a half-game lead over the second-place tie between Appy State & Greensboro. The Catamounts are a full-game behind the Phoenix and a half-game up on UTC. The Catamounts trail in the all-time series with Elon 37-42, but hold a 24-13 edge in Cullowhee - Western has won the last three games and six of the last eight. Cullowhee, N.C. - First-year head football coach Mark Speir announced two additions to his coaching staff today. Former Coastal Carolina defensive coordinator Curtis Walker and former Concord University assistant coach Pat Mills has been added to the Catamount football staff. Walker will serve as the linebackers coach, and Mills will work with the Catamount tight ends. Walker comes to Cullowhee after serving the past 10 years as the defensive coordinator and linebackers coach at Coastal Carolina, while Mills, a recent ASU graduate, served one year as the tight ends coach at Concord University in Athens, W.Va.
"We are very excited about both Curtis Walker and Pat Mills joining us on staff here Western Carolina," said Speir. "Curtis brings a lot of championship experience to Cullowhee after spending the past 10 years as Coastal Carolina University's defensive coordinator. He is well-respected as a talented recruiter, and has directed defenses that have produced championships." "Pat Mills will bring tons of energy and passion to the program. He is going to be a great coach that the players will love. He is a great person, teacher and coach," Speir added. 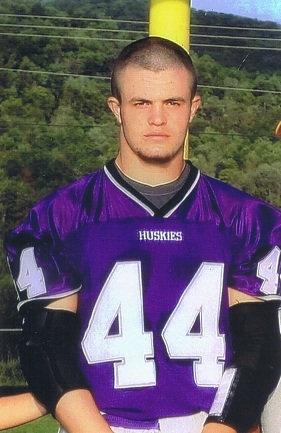 Ashe County High School's highly-recruited defensive lineman Josh Wineberg, made a verbal commitment to play football at Western Carolina University. Wineberg, a 6-foot-6, 240-pounder, becomes part of the first recruiting class of new head football coach Mark Speir. Wineburg was chosen as the Mountain Valley Conference's Defensive Player of the Year this past season. 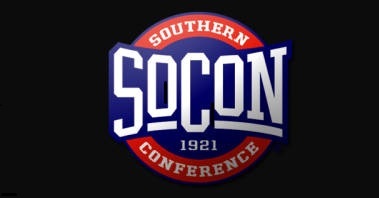 It's time for week 12 of Scanning the SoCon. As usual, four basketball fans discuss the SoCon . The Catamounts travel to Charleston, SC for a Monday night contest with the Cougars. The Cougars are currently 4-15, and 3-7 in the Southern Conference. Both of the Western Carolina basketball teams played on the road today, and the road was not kind to either. The women's team was edged by Georgia Southern 41-40 in Statesboro, they just can't quite get the job done. The men's team received their usual beating in Boone, by a lopsided score of 84-72. ASU now holds a 111-65 lead in the all-time series against the Catamount men. The Mountaineers have won 13 of the last 16 meetings overall and currently holds a 59-22 advantage in games played in Boone, including an 9-3 mark at the Holmes Center. It's not quite as bad as the football record against the Mountaineers, but it's certainly heading in that direction. Boone, NC - The Catamounts travels to mountain rival Appalachian State on Saturday to renew the series against its most frequent opponent in program history, the Mountaineers. While ASU holds a 110-65 lead in the all-time series, the Catamounts swept the series last season, getting home and away win against the Mountaineers. With their win in Boone last season, the Cats halted a six-game losing skid in games played in the Homes Center, and was the Catamounts ﬁrst road victory over ASU since in 2004. The win in Boone, combine's with Mike Williams' buzzerbeating jumper to down the Mountaineers, 79-78, in Cullowhee, gave the Cats their first ﬁrst seasonal sweep over Appalachian since the 2003-04 season. ASU is 5-2 at home this season, which includes a 2-1 mark in SoCon games. The Mountaineers have played three different point guards this season: sophomores G.J. Vilarino and Mitch Woods, and true freshman Mike Neal. All three players have recorded at least two starts at that position. They have attempted to used a balanced rotation throughout the season, and only Omar Carter usually plays more than 30 minutes per game, while Jamaal Trice & Andre Williamson average about 26 minutes each. Currently, 9 of Mountaineers 11 active players average 12.7 or more minutes per game. I'm sure it will be a battle until the end buzzer. Cullowhee, NC - Curtis Walker and Pat Mills are the newest additions to the Catamount football staff as reported by FootballScoop.com. Curtis Walker, former Coastal Carolina defensive coordinator, has been named defensive coordinator and Pat Mills has been hired as tight ends coach. Mills was a grad assistant coaching the tight ends at Concord University (WV). These two additions should round out the 2012 Catamount football coaching staff. Western Carolina set several records in Tuesday's game against Toccoa Falls. Setting records is usually good, especially if the records are set against comparable opponents. I'm just not so sure the new records set against a totally over matched opponent, is a proud achievement. The Toccoa Falls Eagles are not members of the NCAA, or even members of NAIA. The Eagles are in Division II of the National Christian College Athletic Association (NCCAA), a Christian college athletic association. I'm sure that a 141-39 victory, as such, is something that may label the Catamounts as bullies, as if they ran up the score on an otherwise helpless opponent. If anything, this should serve as the catalyst to remove any non-DI schools from future regular season scheduling. It's time for week 11 of Scanning the SoCon. Today the Catamounts lost to Furman, a team that traveled to Cullowhe with a 1-4 conference record, a team that had lost 5 of their last 6 games, and was 2-7 on away games. The Paladins lone SoCon victory prior to today, was to then last place The Citadel who is currently 4-13 on the season. With Furman's victory tonight, the Catamounts have lost 4 of their last 5 games. Of the six games the Cats have played in Cullowhee this season, the Cats are 4-2, that's a loss to a weak Kent State team and a very weak Furman team on their home court. The Catamounts were picked in preseason, by the coaches, for a 3d place finish in the North Division, it's possible that was an overly optimistic preseason prediction for this team. Cullowhee, NC - The Furman Paladins travel up the mountain to meet the Catamounts on Saturday, Jan. 14th. The Cats and Paladins have met 60 times, and WCU owns a 25-35 record in the battle of purple. The Cats won last year's single regular season game against this Southern Division foe (which was played in Cullowhee). The Catamounts have won the last 5 meetings in the series, as well as, the last four consecutive games against the Paladins in Cullowhee. The two teams will play twice this season, home and home. The Paladins enter Saturday's game with a 7-9 overall record, and 1-4 in the SoCon after a very promising start on the season (4-1). The Paladins are currently 1-5 in their last six games. Furman has a single home game win over the Citadel, and has fell to Elon, Davidson, Charleston, and Appy State. Davidson, NC - The Davidson Wildcats put up 30 points in 3-pointers and another 30 points at the free throw line to easily glide into a big win over the then north division leading Catamounts in Davidson on Thursday night. The Cats never lead in the game after falling behind 13-0, thanks to Jake Cohen's 13 point early scoring run on the way to a 88-67 win. The Catamounts out scored the Wildcats in the paint by 10 points, but that was not nearly enough to overcome Davidson's hot outside shooting. Davidson is now 5-0 in conference play, while the Catamounts drop to 3-2, and out of first place in the north division. The Catamount Men’s Basketball team will host its Annual Basketball Reunion on January 13th-14th in Cullowhee surrounding the Furman basketball game. Cullowhee, NC - The Catamounts travel off the mountain and down to the Piedmont on Thursday to play their lone regular season game against South Division foe Davidson. The Cats and Wildcats first met on the hardwood in back in 1977, and since that time, Western has an overall 20-36 record against the Wildcats. The Catamounts won in the single game last season, 81-73 which was played in Cullowhee. “We have so many weapons,” sophomore De’Mon Brooks told the Charlotte Observer after the Wildcats romped over Georgia Southern on Jan. 7, and the Wildcats certainly have lived up to that proclamation. Jake Cohen scored a career-high 29 points in that game. Four other Wildcats have scored at least one 20-point game this season, one for De’Mon Brooks, two from Nik Cochran and one each from Chris Czerapowicz and J.P. Kuhlman. The free-throw line has been the key factor in most of these 20 point games, as Davidson is the top team in the SoCon at the free throw line. The Wildcats are hitting better than 80 percent of its chances from the free-throw line, and as we all know, the Cats are one of the top teams in the SoCon in sending their opponent to the free throw line. Our key to a win, limit fouls and turnovers, as well as, hitting 3 pointers. The WCU Men’s Basketball Team will be traveling to Davidson on Thursday, January 12th for a 7:00 pm tipoff with the Wildcats. The Catamount Club will be coordinating a pre-game event prior to the game. Tickets: The tickets are $14 each and will be in Section 104. Tickets can be purchased through the WCU Ticket office, but must be purchased by Wednesday, January 11th. To Purchase a ticket, please contact Stefanie Conley in the Ticket Office at 828-227-2401. To RSVP for the Pre-Game Event at Davidson, please contact the Catamount Club Office at 828-227-3047 or e-mail jfisher1@wcu.edu by Tuesday, January 10th. Cullowhee, NC - The Catamounts dropped a heart-breaker to Furman Monday night in the Ramsey Center, 57-54. The win was Furman's first over Western Carolina in Cullowhee since the 2004-05 season, ending a six-game Catamount home court streak. The Cats placed three players in double figure scoring, Kaila'Shea Menendez lead all scorers with 16 points, followed by Rena Wakama with 14, and Alex Abraham with 10. 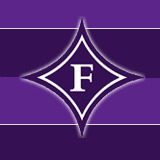 In a game that saw 8 ties and 4 lead changes, the Cat's largest lead of 8 points came in the first half, while the Paladin's largest lead of 6 points came in the second half with 1:12 to play in the game, but the Cats cut the lead to 53-52, with 20 seconds left in the game, but free throws saved the day for the Paladins. Furman's last 9 points were made at the free throw line, and as we know, clutch free throw shooting wins games. The Cats outscored Furman 18-7 in points off turn-overs, and 16-6 in second chance points. However, the Cats only shot 28% in field goals, to Furman's 39%. But those 14 (of 19 attempted) made free throws by Furman, is what won the game. It's time for week 10 of Scanning the SoCon. Cullowhee, NC - The Ramsey Center has become a very tough place to play for visiting teams. In an interview with the AC-T, Wofford coach Mike Young summed it up this way “I would rather go to hell,” he said, “than go to (expletive) Cullowhee." The Catamounts ended two streaks on Saturday afternoon in their win over the Wofford Terriers in game two of a double header played in the Ramsey Center. The Cats ended Wofford's two-game win streak which included wins over ACC foe Wake Forest and the SoCon's Charleston. The Cats also ended their own two game losing slide. “We had some great shots, but we did not play well enough to win on the road,” said Wofford head coach Mike Young. “We gave ourselves a chance down three with the ball on a couple of occasions and we just could not get a shot down. Our shooting was not the story here - we could not get the stops on defense that we have been getting. There were too many second chance points and they beat us to some loose balls.” Wofford has not won in Cullowhee since 2001, a stretch of seven games. The Cats had four players in double figures, lead by Keaton Cole's 22 points, as the Cats never trailed in the game. Cullowhee, NC - The Catamounts dominated Greensboro on Saturday afternoon to pick up their first SoCon victory of the season by a final score of 62-29, in game 1 of a double header held in the Ramsey Center on Saturday afternoon. The 29 points scored by the Lady Spartans is the lowest amount the Cats have held an opponent to this season. Kaila'Shea Menendez led all scorers with 20 points. Leading by only 11 at the half, the Cats build a 25 point lead early in the second half going on a 14-0 run holding the Spartans scoreless in the first six minutes of the half. The Cats also dominated on the boards, out rebounding the Lady Spartans 42-29. "The team took a very tough loss today," UNCG coach Wendy Palmer said. "Western Carolina played an amazing game. Everything was falling for them. Everything was clicking, everything they did, the shots went in, they hustled, they came up with loose balls, so all the credit goes to Western Carolina. They played an amazing game." The Cats host Furman at 7 p.m. Monday night. Cullowhee, NC - Both Catamount teams excelled today in conference play. The women's team dominated Greensboro 62-29, while the men's team led Wofford the entire game in a 67-57 victory. The win over Greensboro was the first conference victory of the year for the women, and upped their overall record to 6-8. Guard Kaila'Shea Menendez led all scorers with 20 points, as freshman guard Makensey Campbell had a career-high 10 rebounds, sophomore guard Rena Wakama added 13 points. Western Carolina returns to Southern Conference basketball action on Saturday afternoon in a Catamount basketball double-header. The WCU women's squad hosts Greensboro, with the men hosting two-time defending SoCon Tournament champion, Wofford. Tip-off is at 2:00 pm for the women, and 4:30 pm for the men's game. Both games will be televised locally on WMYA-TV, My 40 out of Asheville. Chattanooga, TN - Only two things need to be said about the Catamount's loss in Chattanooga on Thursday night. #1. The Cats led 60-58 before Chattanooga went on a 20-2 run to put the game away and win it in a dominating fashion. #2. The Cats were out rebounded 50-26. I doubt if either of these can be corrected, certainly not in time to stem the steam roller that is Wofford, as the Terriers visit Cullowhee on Saturday. In case you didn't know, Wofford beat Charleston by 18 points last night, which comes on the heels of their win over Wake Forest earlier in the week. All I can say is, look out Cats. The game certainly will be good advertisement for the Terriers in the local Spartanburg/Greenville market, as it will be broadcast on TV40. Speir hopes to complete his coaching staff with at least two additional hires this week. Spartanburg, SC - The Lady Spartans of USC Upstate fell to the Catamounts Monday night, 63-58 in the first game of 2012 for both teams. The Cats own a 6-3 overall advantage against the Spartans, despite Upstate's victories the last three contests against WCU. The Cats had three players in double figures, lead by Makensey Campbell's career-high 18 points, Wakama added 13 points and Menendez put in 11 points. USC Upstate controlled the boards, with 41 rebounds to the Cat's 21. The victory over the snaps a six-game losing streak for Western Carolina. TheSportsArsenal- The Ciatdel Bulldogs fan. Please follow the link below, for SoCon basketball, from their perspective. The Catamounts travel to Spartanburg, SC to play the Lady Spartans of USC Upstate in the first game of the new year. The Cats and Spartans meet for the third time overall, but have not played each other in over 27 years. The Cats own a 2-0 record over Upstate. The Lady Spartans enter Monday's game 1-10 on the season, with their lone win coming against a common opponent of ours - UNC Asheville. The Spartans beat the Bulldogs in Asheville by a score of 73-66. Western’s game at Upstate is the final non-conferece game of the season, the Cats are 4-4 in against non-conference opponents and have a 4-8 overall record. For more information on tonight's game, follow the link below. Both Catamount Basketball teams closed out 2011 with big road loses. The women fell to No. 21 Vanderbilt, 81-36 and the men fell to NC State by a score of 82-55. Both are major losses by wide margins for the two programs hoping to make big strides in their out of conference schedules, but it was not to be. The WCU men return to SoCon play against preseason North Division favorite, Chattanooga (6-8, 0-2 SoCon), on Thursday, Jan. 5, at the McKenzie Arena, while the women play their final non-conference game on Monday, January 2, 2012, at USC Upstate.